Abandon Normal Devices (AND) are delighted to launch the second edition of COSMOS, a flagship international art-science commission and residency programme exploring deep space, in collaboration with The University of Manchester's’ Jodrell Bank Observatory and bluedot. Launched in July 2017 and scheduled to take place each summer, COSMOS invites an international artist to create a new audio-visual work developed for, and to be projected onto, the iconic Lovell Telescope at Jodrell Bank Observatory during the award-winning bluedot Festival. It is with great pleasure AND announces Addie Wagenknecht as the COSMOS artist for 2018. Wagenknecht will be collaborating with Jodrell Bank astrophysicists through a series of research residencies in May and June to create a new artwork to inspire audiences. Spending time at Jodrell Bank Centre for Astrophysics, the artist will work with researchers and scientists to gain insight into the data collected by the telescope, the observatory's research and consider how we can visualise the knowledge gathered about deep space. Wagenknecht is specifically interested in the notion that information has always been available, and as an observer you can choose whether or not to look at it. By using light this site specific commission will transform the Lovell telescope into a seemingly random data hub, that will give rise to meaningful patterns and knowledge. During bluedot festival the Lovell Telescope will be receiving radio signals from deep space whilst pointed at the zenith, directly overhead. Wagenknecht’s new artwork will be projected directly onto the structure of the telescope using advanced projection mapping employing point cloud data gathered by LiDAR* scans completed by Arup, this will enable the structure to be projection mapped in real-time and with precision. Abandon Normal Devices (AND) is a commissioning agency and a catalyst for new approaches to art-making and digital invention. After is anururgal year in 2017, AND returns to bluedot for this unique art-science commission with artist Addie Wagenknecht. Find out more about AND here. 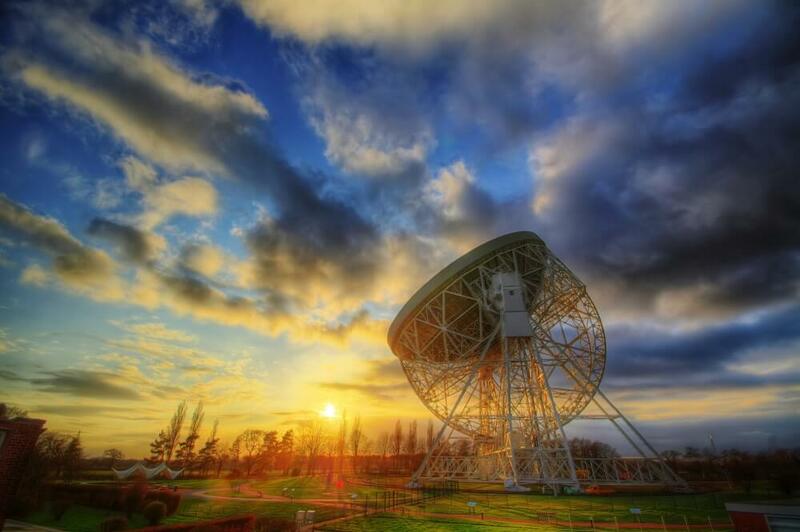 COSMOS is a flagship international artists commission and residency for the Lovell Telescope. Produced by Abandon Normal Devices, commissioned by Jodrell Bank Observatory, SHIFT and Abandon Normal Devices. Supported by the University of Manchester, bluedot, Arup and Austrian Cultural Forum, and with public funds from Arts Council England. LiDAR* scans of the Lovell Telescope used in the production of COSMOS are provided by Arup.